New York is the largest metro area in the United States. It includes the island of Manhattan, an eight-county area immediately north, western Long Island, and Staten Island. It is the fourth largest in the world behind Tokyo, Mexico City, and Sao Paulo, Brazil. Regardless of how the area is defined, New York is among the richest and most complex places to live in America. Filling out the island are distinct districts. Lower Manhattan contains the Financial District. Midtown is the commercial center, with corporate headquarters, various media businesses, and world-class shopping along Fifth Avenue. Large skyscrapers dominate Lower Manhattan, then retreat as does hard bedrock to build on in those areas, then reemerges in Midtown. The in-between area is dominated by older ethnic enclaves like Chinatown and Koreatown and the more famous artsy areas of Greenwich and Soho. “Hip” residential areas lie east and west, mainly popular with young single professionals. North and west is Hells Kitchen, in the “40’s” (most Manhattan area locations are so approximated by their east-west numbered streets) is an old ethnic area and warehouse district enjoying a residential renaissance, to soon be aided by an elevated bikeway and commercial corridor along an old rail line. Times Square and the Theater District just west of Midtown contain the world-famous theaters and numerous restaurants. Surrounding Central Park, the Upper West and Upper East sides are predominantly residential, although both contain ample dining and shopping. The Upper East Side also contains posh enclaves unaffordable for most, outstanding museums, and the designer boutiques of Madison Avenue. The Upper West Side is dotted with large apartment buildings and is a favorite for working professionals and families. Farther north above Central Park, neighborhoods start to decline, although Harlem is undergoing a rebirth. The boroughs of Brooklyn, Queens, and the Bronx are a patchwork of residential and commercial areas and parks. They have large industrial areas with a predominant blue-collar feel containing manufacturing and freight distribution centers for the area. All are close to the city and offer relatively more living space, and all are experiencing verying degrees of economic and residential revival. Ethnic diversity is strong in all boroughs, while Queens is reputedly the most ethnically diverse area in the country. Brooklyn is large and diverse enough to function as a standalone city, with large and some upscale residential areas with a modern downtown and substantial commercial and retail offerings areas. Brooklyn is known for its large Olmstead designed (of Central Park fame) Prospect Park. Brooklyn shares the western end of Long Island with Queens, with excellent transportation service into the city by rail and subway and numerous beaches, parks and residential neighborhoods south and east towards the large JFK airport. Brooklyn is socioeconomically very diverse, with a mix of upscale, middle class and poorer areas, while Queens is more clearly identifiable as middle class. 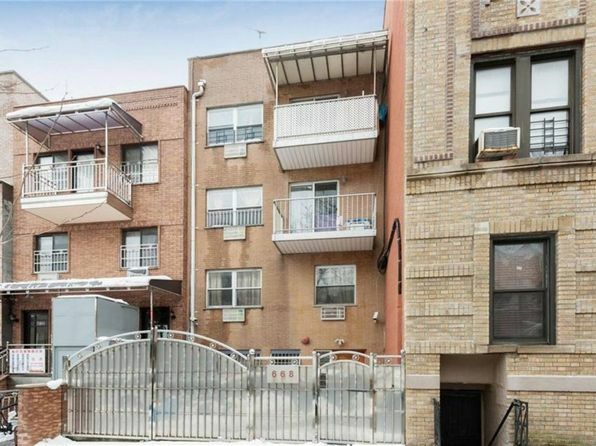 The Bronx area, on the mainland to the north of Manhattan, is the grittiest of the three areas, although its strategic location between the city and to better areas north is starting to bring some interest. Staten Island, a mainly-residential borough to the south, is connected to Manhattan by ferries and the Verrazano Narrows bridge. Finally, the New York metro area includes northern suburbs stretching up into Westchester County between the east bank of the Hudson River and the Connecticut border. Westchester is generally upscale and expensive, with spread-out towns and a country setting. White Plains is the largest city and a modern corporate center with large facilities for IBM and a number of companies relocating north from Manhattan. Smaller but very upscale areas lie east along the Long Island Sound (Rye being an example) and north along the Hudson as the smaller towns of Tarrytown, Ossining and Croton-on-Hudson. Rockland County is more middle class with some working-class areas. West Nyack is a large family-oriented middle class area. Other suburbs give workers access to New York by freeway or by rail lines across the Hudson or to northern New Jersey. The New York area offers a rich assortment of amenities, with world-class dining, shopping, and performing arts including theater, symphony, opera, and live music. Museums and architectural attractions, large and small, draw global audiences. Numerous major-league teams play in the area, including the MLB Yankees and Mets, NBA Knicks, NFL Giants and Jets, and NHL Islanders and Rangers. An extensive public transit system with subways and buses serves the urban core and links the boroughs. A suburban rail and ferry network services surrounding communities in Connecticut, Long Island, and New Jersey. Rail lines on the Northeast Corridor make such cities as Boston and Washington, D.C. easily accessible. Many residents don’t own cars and choose to depend on public transit or an occasional car rental. Three major airports—La Guardia, Kennedy, and nearby Newark—provide air service domestically and abroad. Surrounding the city are numerous recreation areas: Long Island beaches, the Poconos, the Hudson Valley, and the Jersey Shore, to name only a few. The downsides are significant. The city is crowded and stressful, and some neighborhoods are run down. Violent crime rates are high, although not as bad as the stereotype. Cost of living is high in all categories and is rising. Median home prices of half a million or more don’t buy much, especially in Manhattan. Home prices there can be five to six times higher for comparable properties in surrounding boroughs. Income differentials between wealthy workers and others are high, and overall the Buying Power Index is usually the worst in the country, suggesting that incomes don’t keep up with costs. New York is a great place – if you like the lifestyle and can make ends meet. The New York City area exceeds 300 square miles and is located mostly on islands. Elevations range from less than 50 feet over most of Manhattan, Brooklyn, and Queens to several hundred feet in northern Manhattan, the Bronx, and Staten Island. The area is close to storm tracks, and most weather approaches from the west- producing higher summer and lower winter temperatures than would otherwise be expected in a coastal area. Summers are hot and humid with occasional long periods of discomfort. Sea breezes occasionally moderate summer heat and winter cold in Lower Manhattan. Manhattan and the inner boroughs are more likely to receive rain in winter while outlying areas get snow. Precipitation is distributed fairly evenly throughout the year. Summer rainfall is mainly from thunderstorms, usually of brief duration. Late summer and fall rains associated with tropical storms may occur. Coastal “noreaster” storms can produce significant snow. First freeze is mid-November, last is early April. The median home price in New York is $940,100. Browse Homes in this Range. Compare New York (zip 11220), New York to any other place in the USA.